On May 9th and 10th, PADI EMEA conducted the second orientation program for specifically selected Instructor Trainers who are joining the TecRec system. 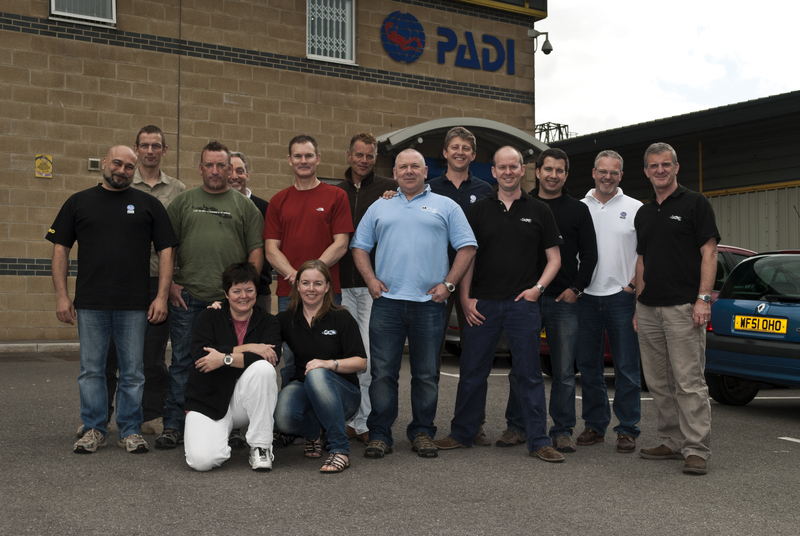 Ten candidates from across EMEA’s territory attended the program in Bristol, UK, which was led by Mark Caney (VP Rebreather Technologies, Technical Diving Division). The group represented a wealth of technical diving experience and knowledge in all areas including EANx, Trimix, rebreather, sidemount, cave and wreck . This experience lent itself to an interesting and enjoyable program with opportunities for the group to provide valuable feedback, whilst being oriented and trained in the TecRec Instructor Training process. These Instructor Trainers will now be able to offer TecRec Instructor Training to PADI members, and continue to swell the ranks of TecRec Instructors throughout EMEA territory. We are in great need in Switzerland of Tec Rec instructor trainers. If any of the New I.T. can help, please contact me. Cheers Tom I speak french, German, English etc…we also have a facility in Switzerland to run the courses. And thanks again to the PADI TecRec team for this course and all non TecRec nice people we met there too.